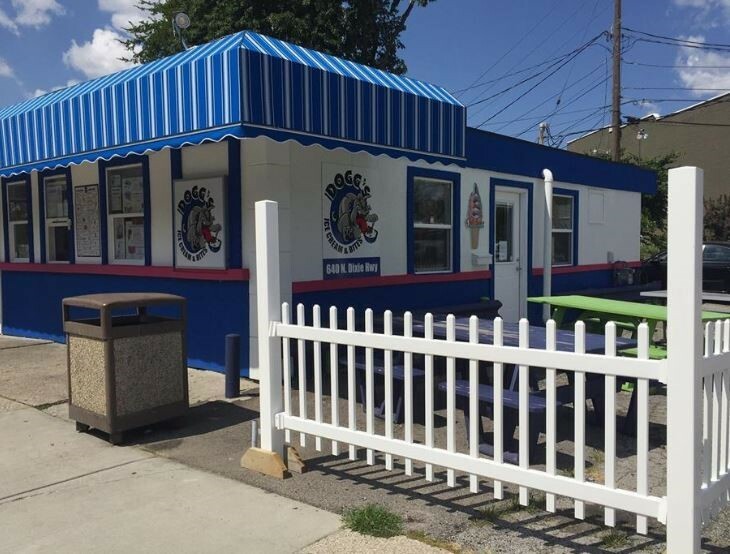 ﻿ Dogg's Ice Cream & Bites - Ohio. Find It Here. Offering TOFT'S soft serve & hand dipped ice cream. Check out seasonal specialty flavors and offerings. Located in the heart of Downtown Rossford. SMOKED BBQ done on premises. Ribs, brisket, pork & chicken; pulled pork or chicken nachos- a local favorite! Also offering hot dogs & chili dogs. Come early, BBQ sells out quickly!! May order full chicken in advance. Call at least a day ahead. Lovely patio and inside dining during the cooler months.